The passage of “Blackbeard’s Law” prompted a federal lawsuit against the Governor and the State include employees of the North Carolina Department of Natural and Cultural Resources (NCDNCR), the Friends of Queen Anne’s Revenge nonprofit in Beaufort, North Carolina and Susan Kluttz, Karin Cochran, Kevin Cherry, Cary Cox, Stephen Claggett and John “Billy Ray” Morris. 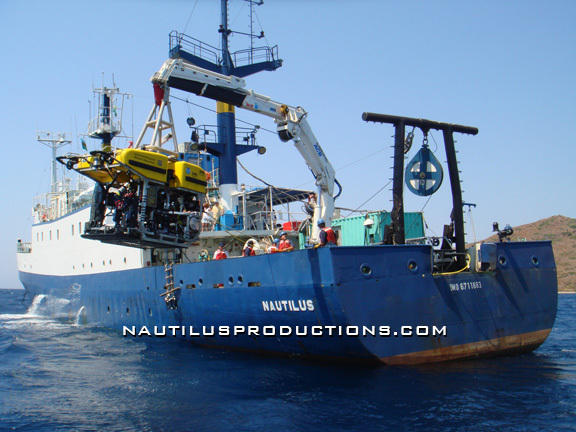 On December 1, 2015, Nautilus Productions, which has spent almost two decades documenting the retrieval of Blackbeard’s pirate flagship, the Queen Anne’s Revenge, filed a Federal lawsuit against Gov. Pat McCrory, the State of North Carolina, the Friends of Queen Anne’s Revenge nonprofit, and others, in the U.S. District Court for the Eastern District of North Carolina over Blackbeard’s Law and copyright infringement. A hearing date is pending in the United States Court of Appeals for the Fourth Circuit. A separate lawsuit against the state of North Carolina, filed by Intersal, Inc., which found the Queen Anne’s Revenge, continues in State business court. UPDATE: On March 14, 2016 the Friends of Queen Anne’s Revenge nonprofit in Beaufort, NC registered it’s destruction filing with the North Carolina Secretary of State and was officially dissolved. UPDATE: On March 23, 2017 U.S. District Court Judge Terrence W. Boyle rules the lawsuit for copyright infringement and for a declaration of the statute’s invalidity will move forward in Federal court. UPDATE: April 21, 2017 – The State of North Carolina, Kevin Cherry, Stephen R. Claggett, Karin Cochran, Roy A. Cooper, Cary Cox, Susan Wear Kluttz, John W. Morris & North Carolina Department of Natural and Cultural Resources file an interlocutory appeal of Judge Boyle’s decision. Nautilus files a cross appeal. A hearing date is set for March 20, 2018 in the United States Court of Appeals for the Fourth Circuit.